Records reveal a long-standing, ethically questionable practice of zoo employees accepting free blood tests for their pets from a zoo contractor. The Oregon Zoo is the state's most popular paid tourist attraction, hosting more than 1.7 million visitors last year. The zoo and its foundation have capitalized on Oregonians' love of animals to build a financial colossus. The zoo's operating budget topped $52 million last year. But WW has learned about issues at the 64-acre facility in the Southwest Hills that renew questions about the zoo's management. WW obtained records related to three matters: a long-standing, ethically questionable practice of zoo employees accepting free blood tests for their pets from a zoo contractor; a nearly 100 percent cost overrun on a newly completed platform for viewing the zoo's giraffes; and the mysterious death in December of the zoo's only aardvark. Councilors Sam Chase and Bob Stacey, both of whom represent Portland on the seven-member Metro Council, say that as the zoo moves toward financial independence from taxpayers, new demands put stress on management. "In any organization with the size and complexity of Metro, there are going to be challenges," Chase says, adding he wants to know more about each of the three issues WW flagged. "I have requested in-person briefings on these matters." The zoo attracts scrutiny only rarely—when a national scandal breaks, such as news in 2012 of the zoo's participation in a commercial elephant breeding program, or when a high-profile resident is euthanized, such as the beloved elephant Packy in 2017. Although visitors provide three-quarters of the zoo's budget, the other quarter comes from Metro's general fund—that is, from taxpayers. Metro may be best known for land-use and transportation planning, but in financial terms, the Oregon Zoo is larger than all Metro functions, except running the region's solid-waste system. The latest issues echo the findings of a February 2017 audit, which found a troubled internal culture as the zoo attempted to transform itself from a tourist attraction to a conservation organization and to strive for financial independence. "Employees indicated that the zoo faced challenges that went beyond any single event, employee or policy," the audit found. One of the zoo's largest contractors is Idexx Laboratories. For many years, the Maine-based company has provided blood testing for the zoo's 2,700 animals. Idexx has enjoyed a close relationship with the zoo. In 2018, zoo officials received permission to exempt Idexx from competitive bidding requirements and signed a five-year, $250,000 contract with the company. For many years leading up to that no-bid contract, Idexx offered free blood tests for the pets of the zoo's veterinary employees. In June 2012, emails show the zoo's then-deputy director Chris Pfefferkorn forbade staff to accept the free tests. "It came to my attention yesterday that Idexx had made the offer to run tests for your personal animals at no cost to you or the zoo," Pfefferkorn wrote in an email to senior staff. 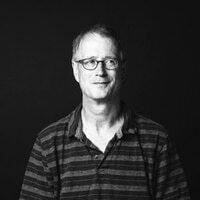 "I also realize that this practice has been going on for over nine years and may seem innocuous on the surface. In reality, this offer should not have been accepted, and I want you to know that from now on this practice is not to continue." Despite that conclusion, according to emails, zoo employees were later told by Metro staff they could keep accepting free tests. They did so until last year, when a whistleblower complaint led to a Metro investigation. That halted the practice. Stacey, a lawyer, says he was unaware of the free tests. "That would be a violation of state law and Metro code," Stacey says. Metro spokesman Jim Middaugh says the agency, following the investigation, now has a clear policy: no more freebies. "It's not OK for Metro employees to accept free lab services from Idexx," Middaugh tells WW. An Idexx spokeswoman says the company did nothing wrong. "It is our policy not to provide anything of value to improperly obtain or retain a business relationship," writes Robin Woodcock in an email. Another issue that has raised questions about management of the zoo is the recent completion of a giraffe-viewing platform, which ended up costing $794,000, nearly twice the original $400,000 budget. "There was some unanticipated geotechnical complexity," Middaugh says. "The other challenges were related to the design, which presented constructability challenges. And we have a strong construction market." The zoo has completely overhauled its campus in the past decade. The costly giraffe platform harks back to a series of projects paid for by the $125 million capital bond measure voters approved in 2008. Some went over budget. "We used to call it 'zoo math,'" says Phil Prewett, a longtime zookeeper who is retired. Metro constituents have rarely stirred over cost overruns. They have, however, been alarmed by zoo animal deaths. A baby elephant's death from a virus late last year put the zoo in the headlines. 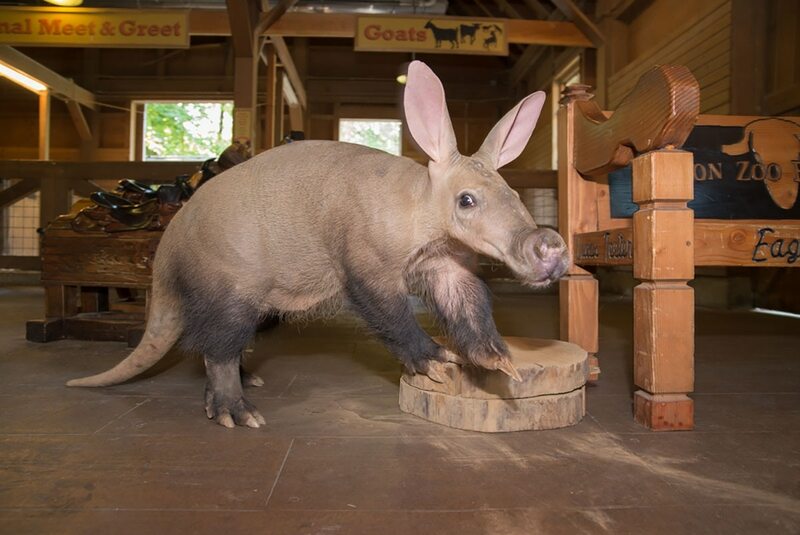 Another fatality, however, received much less attention: the sudden death in December of a young male aardvark named Kuchimba, who had come to the zoo from Sacramento in 2017. He was used in a new program in which zoo visitors paid premiums for private "encounters" with animals that might not be on display to the public. Records show that following that report, an anonymous zoo staffer submitted an animal welfare concern form attributing Kuchimba's death to neglect. "It is my understanding that the aardvark died due to malnutrition and poor housing, i.e., exposure to low or changing temps," the form said. "How sad that it starved to death in our care." But Dr. Carlos Sanchez, one of three Oregon Zoo veterinarians, says that characterization is wrong. He says the independent pathologist jumped to conclusions based on an examination of tissue samples rather than an examination of Kuchimba's carcass and lacked the full story of the aarkvark's demise. "We don't agree with the pathologist that the animal wasted away," Sanchez says. He believes the aardvark died of pneumonia. Sanchez says the death was unusual, because Kuchimba was both young and seemingly healthy, but unavoidable. Contrary to the pathologist's finding, he adds, Kuchimba's weight was normal and he'd been well cared for. "Animals in the zoo tend to mask disease until they are very sick," Sanchez says. Taken together, the three situations at the zoo raise questions about how closely Metro is watching its largest attraction. Stacey says he believes that based on national accreditation, the zoo is a world-class facility that provides an excellent home for its animals. He says he's aware of a dispute over the circumstances of Kuchimba's death but says Metro's role is to set policy and help the zoo achieve independence. "There are ongoing concerns by some Metro staff and zoo management that issues between zoo and metro could be better," Stacey says. "But overall, I think the council's oversight has been highly successful." As Metro prepares its annual budget, officials are also figuring out how to help constituent cities invest a $653 million Metro housing bond passed in November, and it's looking forward to potential bond measures for parks and transportation in 2020. Middaugh says although housing and transportation may be higher-profile endeavors, the council is regularly briefed on zoo issues and is fully engaged. "Each of these [three issues] warranted prompt attention by management," Middaugh says, "and that's what they got. When issues come to light, we do our best to address them head-on and promptly."